San Diego events in August, a popular San Diego tourism month. Come join in these fun summer activities in San Diego, Oceanside, Carlsbad, Encinitas, Solana Beach, Del Mar, La Jolla, and Coronado CA. It's hard to beat summer in San Diego for the best weather and fun outdoor activities. 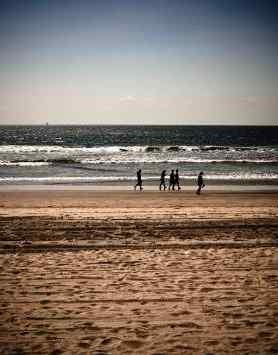 La Jolla Beaches - Enjoy the lovely beaches in La Jolla, San Diego. 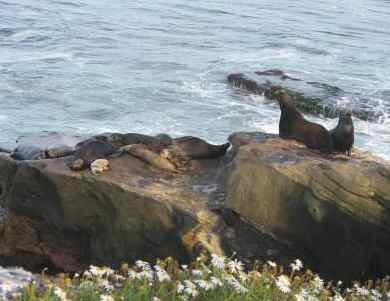 See Children's Pool (shown above), La Jolla Cove, La Jolla Shores and more along the La Jolla Coast Walk. Bike The Bay - Sunday August TBD 2019 is your chance to ride across the San Diego Coronado Bay Bridge and it all starts with a cruise around the San Diego Bay. This is a non-competitive community bike ride and is appropriate for all abilities. It is a mostly flat ride around San Diego Bay via the Bayshore Bikeway. You will get a chance to travel though Coronado, Imperial Beach, Chula Vista and National City before returning to the start/finish line. This is a 25-mile bike ride with a one-time chance to ride their bike over the Coronado Bay Bridge! There will be a post-ride festival following the ride with food, beverage, a beer garden and entertainment! Where? Embarcadero Marina Park South. Price? $55 - $60 Check it out at www.bikethebay.net. Art Walk San Diego - Saturday and Sunday August TBD 2019 from 10 AM to 6 PM (5 PM Sunday) at Liberty Station (at Ingram Plaza). Fine artists show their original artwork in an outdoor San Diego setting. This replaces the former Art Walk on the Bay event in San Diego. For details about Art Walk San Diego see artwalksandiego.org. Encinitas Sunday Concerts by the Sea - Sunday August TBD 2019 from 3 – 5 PM at Moonlight State Beach in Encinitas. Bring your beach blankets. San Diego Water Park - Summer is a great time to visit a San Diego water park. Try the Sea World Aquatica Water Park, the Legoland California Water Park in Carlsbad, or The Wave Waterpark in north county (Vista). San Diego Harbor Cruise – For a fun day in San Diego activity, enjoy a San Diego Harbor Cruise. You can also see the USS Midway museum, SD Maritime museum, Seaport Village and much more. Sunday Brunch at the Del - 9:30 AM – 1:00 PM Continuously voted San Diego’s best brunch by San Diego Magazine and The San Diego Union-Tribune readers, The Del’s brunch has long been a local favorite. Hotel del Coronado, on Coronado in San Diego. For a treat afterwards, take the walking tour (see below). Please call 619.522.8490 for reservations. Aquarium Sea Days Family Day - August 17 2019 from 11 - 3 at Birch Aquarium. Monthly topic varies each month at this hands-on exhibit for young adventures. Back to School Treats for Mom and Kids - Go ahead and indulge your family. Your kids will love you for it! As I took my dogs for a walk yesterday I saw a few moms and dads outside side walk chalking special notes to their little back-to-schoolers. I know those kids are happy to get those pics but don’t you think some fabulous treats will help may their day? Make some healthy snacks if you want, or head down to VG Donut & Bakery at 106 Aberdeen Drive in Cardiff the surprise everyone with those Southern California treats! Everyone loves VG’s! Carlsbad Art in the Village - Sunday August TBD 2019 from 9 AM to 5 PM on Grand Avenue in Carlsbad, California. 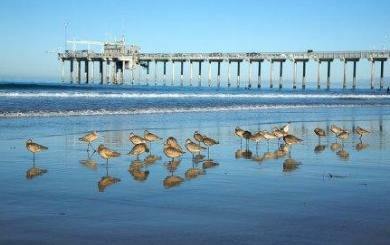 Over 125 local and regional fine artist are featured in the Village of Carlsbad, just 2 blocks from the beach. Things to Do in San Diego - For more San Diego events August for locals or San Diego tourism activities, check out these Things to do in San Diego and 101 Things to do at the Beach.